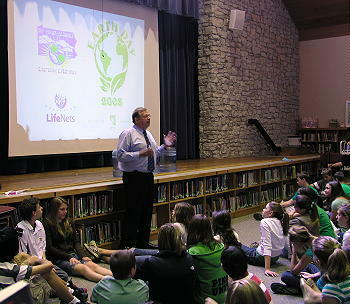 LifeNets Makes Presentation to Park Tudor Jr. High in Indianapolis on Friday, April 25, 2008 during Earth Week showing its water well projects in Malawi and Zambia. A demonstration was made about the arduous work that women perform carrying five gallon loads on their heads for miles every day to provide water. A average person in the United States uses 176 gallons of water every day. In Malawi the figure is more like three gallons per person per day. 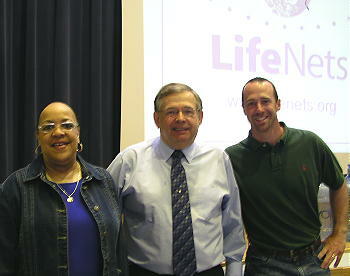 LifeNets Treasurer Cathy McClure introduced Victor Kubik for the program. 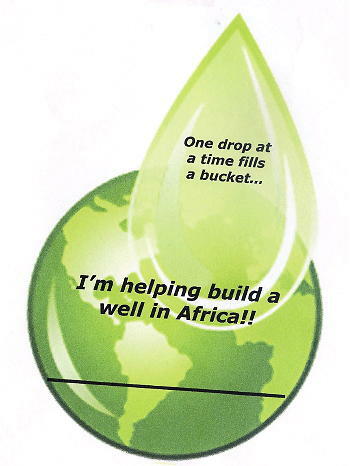 Cathy's daughter has helped collect more than $1000 for a well earlier this year. The sixth grade class announced today that they held a pie sale and collected an additional $500 for LifeNets water wells. 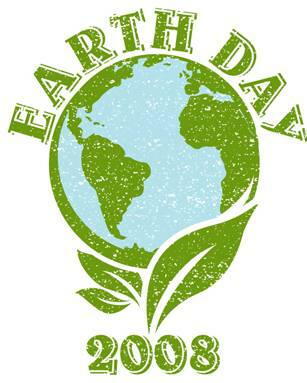 Park Tudor Middle Schoolers during Earth Week. The program is about to begin. 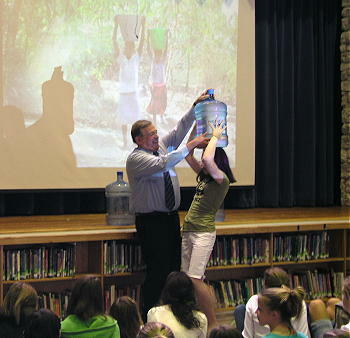 Student feels the impact of five gallons of water on her head. This is typically the weight carried by African women who do it all day long.